After such a promising start with my 18 mile long run on Monday, the week deteriorated into rubbishness. After the Tuesday Striders session I felt incredibly tired and although I planned to run commute a round trip of 11 miles on Wednesday, extreme fatigue and the pouring rain meant I couldn’t rouse myself for the early start. So I drove to work intending to run 6 or 7 recovery miles at lunchtime. Pretty soon after I started running at lunchtime I knew something was wrong. I felt shattered after about half a mile and managed to shuffle a total of 4 miles in about 40 mins. I was a shambling mess and realised that I was coming down with an illness. So, unfortunately no running for the rest of the week because of a heavy cold – one of those horrible ones where your nose runs constantly making your nose and top lip go red. I am probably over the worst of it now as I am producing some horrible green matter, but enough of that. Its 4 days until the Chevin Chase and seven until the Ribble Valley 10K. If I feel anything like, I’ll run the Chevin Chase on Boxing Day easily just to gauge how I feel after a week of no running. 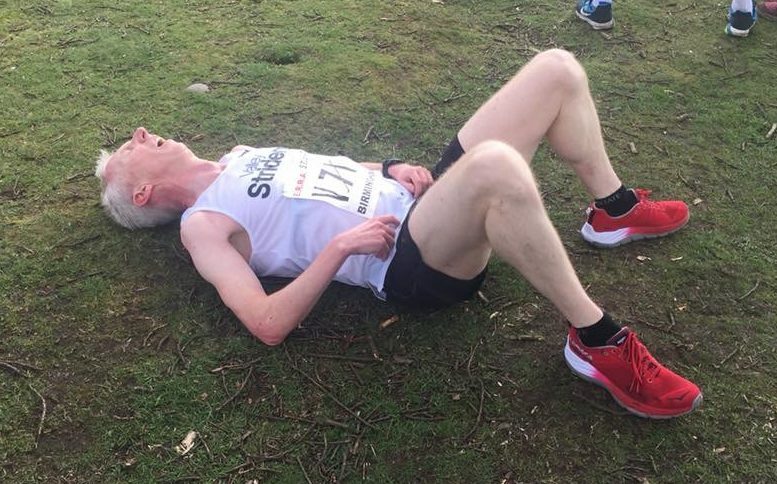 If I feel OK I’ll have a go for the elusive sub 37 min 10K run at Clitheroe next Sunday – however, that seems pretty unlikely as I sit here streaming.